Intelligent hosted video solutions for your home. 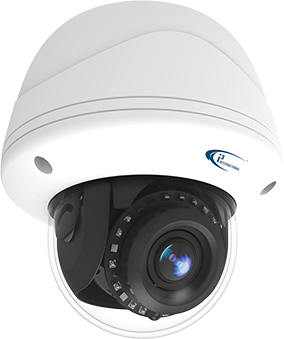 CloudControl™ hosted video surveillance from SECURATECH provides a simple and affordable recording solution for your video surveillance needs. Since your video is stored in the cloud, there’s no need for a separate digital video recorder (DVR) or network video recorder (NVR). You get the benefit of easy installation, no software or patches to update, and the clarity of high-definition images. Your live and archived video is accessible to you anytime, anywhere from your computer, smartphone or tablet. Check on your business, one site at a time, or all sites at once. Take your business securely to the cloud today with a trusted partner and start recording today. Take time to manage your business. Reduce the amount of labor and technical know-how needed to provide enterprise-level video security at your business. Receive alerts and view videos from anywhere on your smartphone, tablet, or laptop based on events you define. Use the captured data from intelligent cameras to monitor your business, track employee and customer activities, and improve internal processes to increase company performance. True plug-and-play technology with a solution that is easy to install and learn. Low up-front investment with no equipment or software updates required. Simultaneous and secure multi-site viewing via desktop web browser or smartphone. Health monitoring for all cameras with triggered alerts sent to your mobile device. Tamper-proof equipment to ensure access to video when you need it most. Rapid access to low- and high-resolution video through your web browser. Scalable enterprise solution that grows alongside your business.